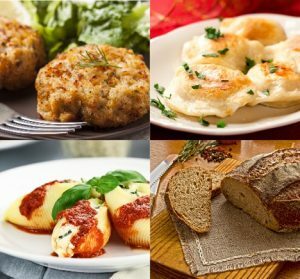 Keep these delish products in mind when you’re planning your next order: Authentic Maryland-style crab cakes, packed with lump crab meat and ready to eat in less than 5-minutes; real Polish pierogies; and jumbo stuffed pasta shells (just add a jar of Marinara, microwave and you’ve got a yummy dinner)! Plus, we now carry organic non-GMO wheat bread – simply warm in the microwave for 30-60 seconds for fresh-baked homemade style bread! 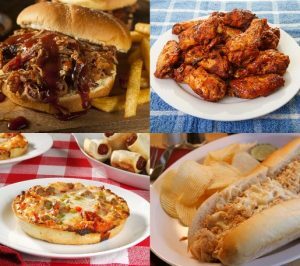 Whether you’re having friends over for the big game or just want some quick and tasty handheld food, you’ll love these new items from Blue Ribbon Foods! 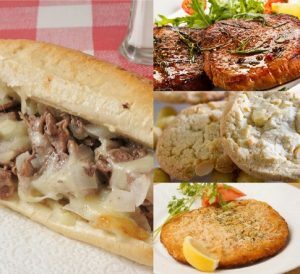 • Personal Supreme Pizzas – fits perfectly in your toaster-oven for a delicious lunch the kids will love! 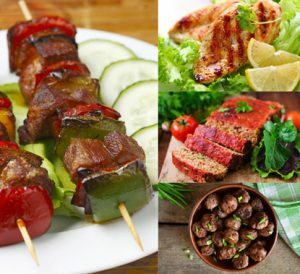 All-natural and free from nitrites, fillers, preservatives, added hormones, MSG, and flavoring solutions. They are even gluten free! 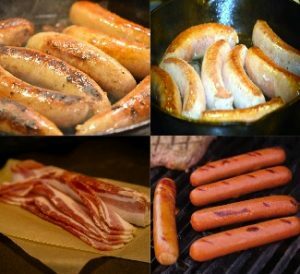 We carry mild Italian sausage, fresh andouille sausage, uncured artisan bacon and all-natural skinless wieners! The wieners even have 31% less fat than traditional beef and pork frankfurters!